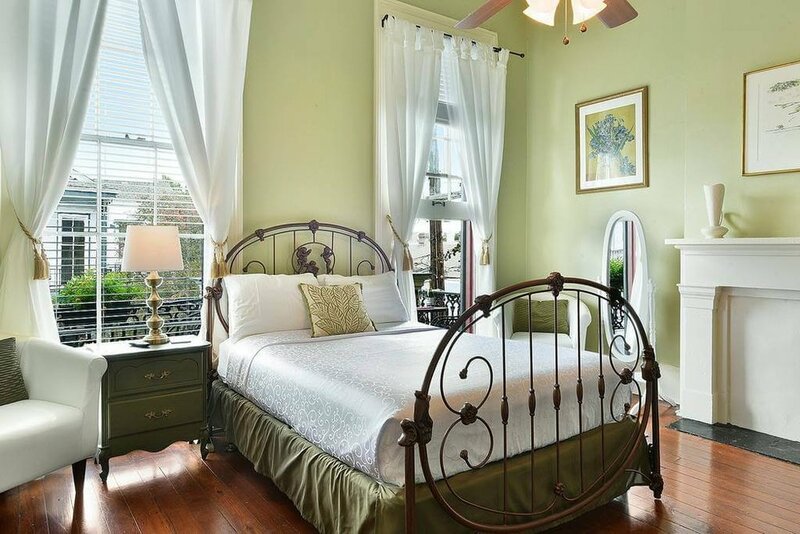 Located on the second floor, the “Elysian Fields” suite has a queen bed and a private ensuite bathroom. 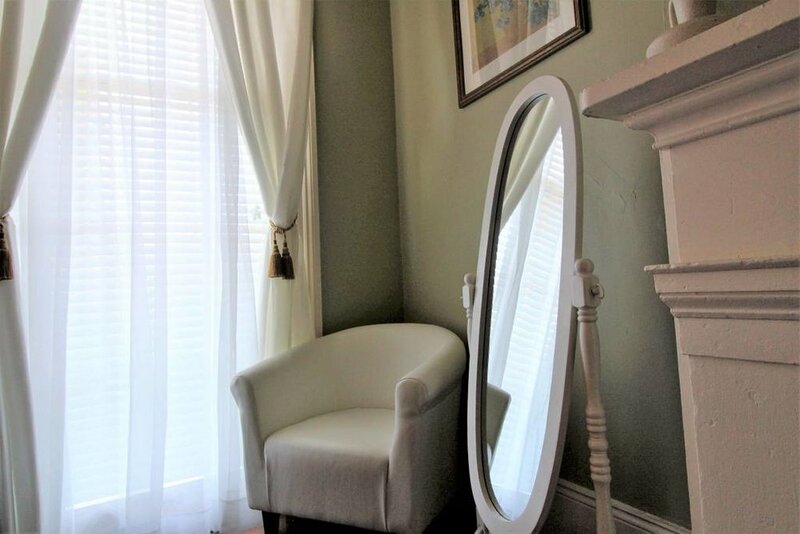 Start your day with some fresh air by opening up the room’s 10 foot windows, or step outside and enjoy your morning coffee in private on your side of a roomy, guest-exclusive balcony. “Elysian Fields” is named after the street’s original name, "Avenue Champs Ellysees," which was chosen by the famous plantation owner, Bernard De Marigny, after a street in Paris with the same name.